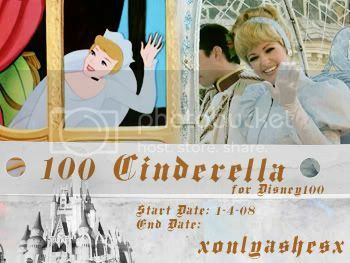 from the classic Disney film Cinderella for disney100! This is a great start :) Right now I'm saving # 48 and # 55 and I'll definitely be checking back later on your progress because this is a really promising start! These are great so far...I can't wait to see what else you do! I snagged a few...I will credit when I use. OMG. I can't wait for you to finish this. It will be an awesome 100 icons, the first ones I see here are just spot-on.♥. aww thank you! :D i'll hopefully have the next set up soon.. i'm trying to make it in 4 sets of 25! Cinderella is one of my all time favourites. Beautiful Start to the 100. I can't wait to see the rest. These are pretty so far, but sure to post again when you finish the set! I took 9 and 14. Will credit. :) Thank you! I took quite a few, thank you! Had to grab 08 and will credit; so pretty! i like these and how they've been captured. grabbed a whole bunch of them. All of them are beautiful! Will credit if used!